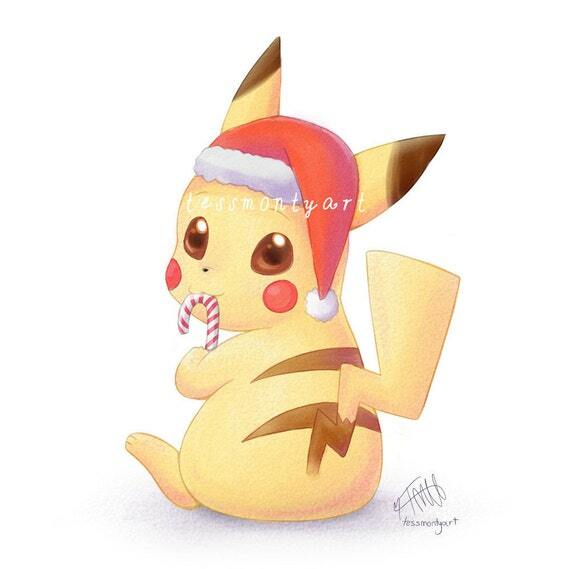 Let’s Find Some Pokemon Christmas Cards! 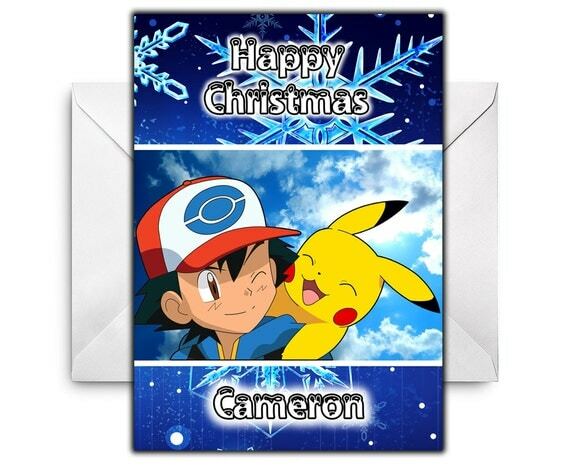 Did you know that you could get Pokemon Christmas cards to send to your friends and family this holiday season? I tripped over them quite by accident and so had to share them. Since the advent of Pokemon Go I have found the number of people in my circles who are now Pokemon fans has absolutely exploded. I know they will love to receive a Pokemon themed card. 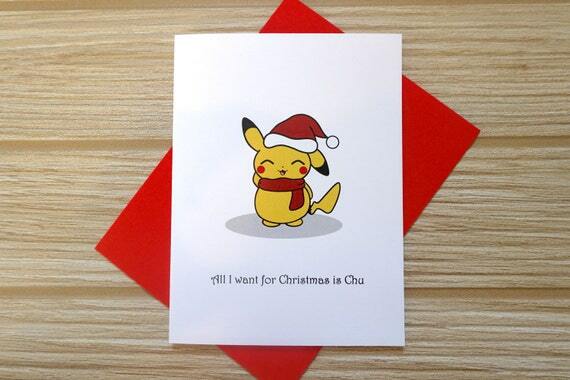 All I Want for Christmas is Chu! 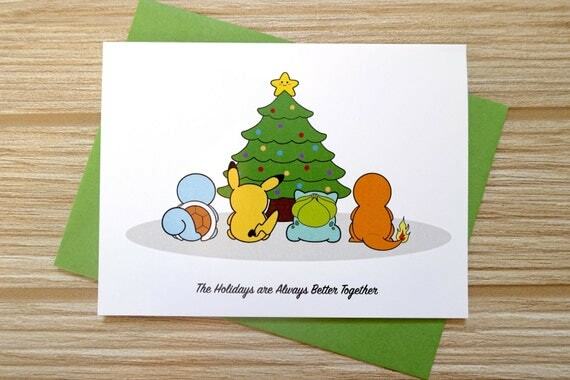 I love the holiday card with the Pokemon friends all sitting by the Christmas tree, you can imagine that they’re waiting for Santa to arrive with all of their gifts! 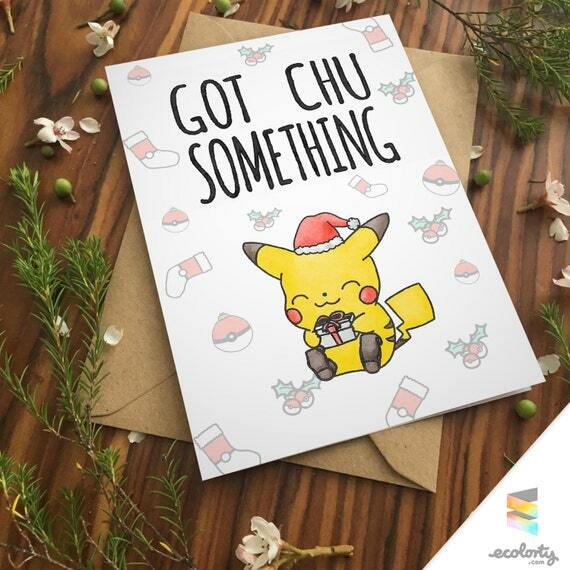 Pikachu, Squirtle, Bulbasaur and Charmander are the four inspirations behind this card – the only thing that I think could make this card better is if there was a Pokeball on top of the tree instead of a star! 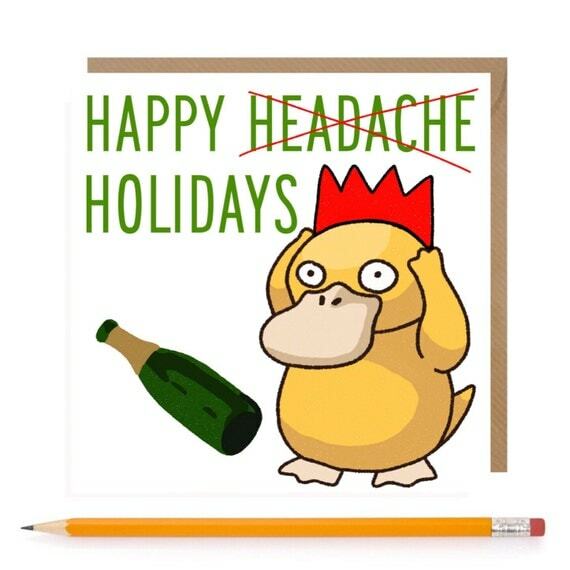 The other two cards are also cool starring a very festive looking Jigglypuff on one card or Psyduck wearing a paper hat from a Christmas bonbon on another. It’s so hard to choose just one card from this page isn’t it? Luckily I do have a solution to this question further down the page. 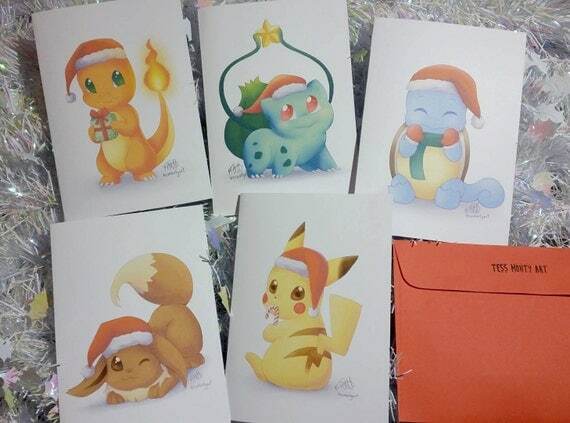 These gorgeous cards are like little pieces of art staring Pikachu, Eevee, Charmander, Bulbasaur & Squirtle. The cards are blank on the inside and I personally think they will be very highly treasured by any fan. I love the art so much I’m tempted to buy the cards and put them in small white box frames as a gift for my Pokemon Go playing brother as they would look great in his home office! It’s All About the Pokeball! 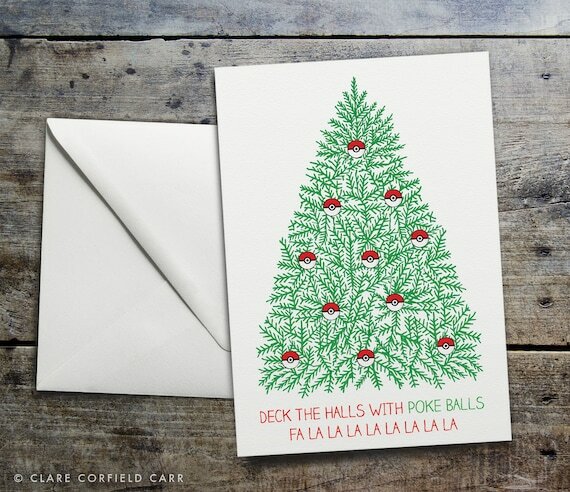 Both of these cards (above) take their inspiration from the song – Deck the Halls – which is understandable. 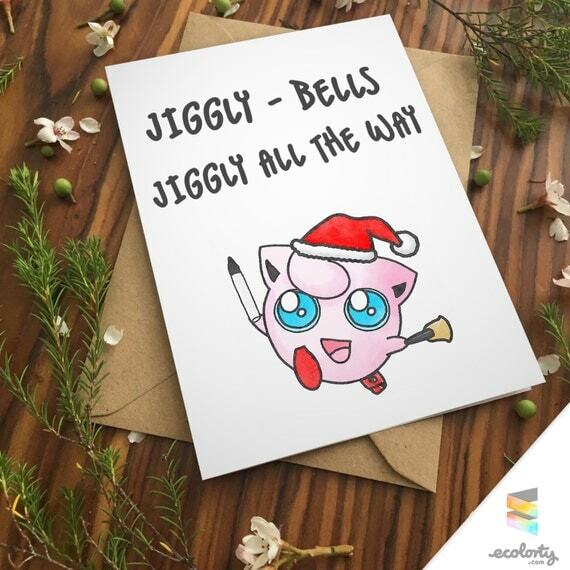 My favorite is definitely the Christmas tree one and you could always combine the card with a Pokemon Pokeball Christmas ornament as a gift – they are pretty cool. 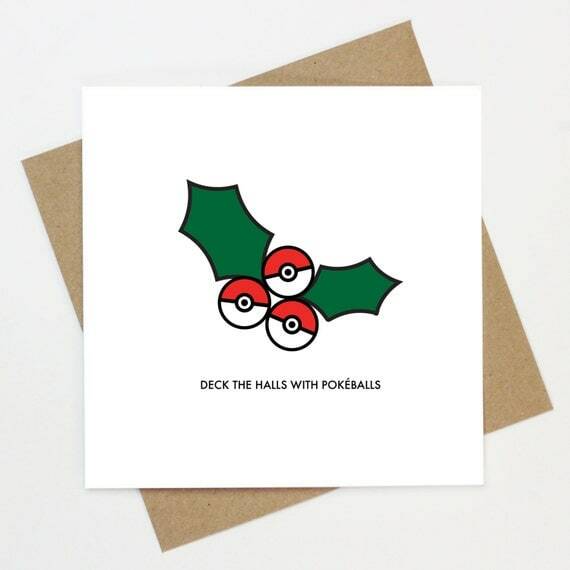 Of course you could always make your own Pokemon Christmas cards, I’ve found a great tutorial for a Pokeball Christmas Card for you to use (or just take inspiration from). Previous Previous post: Go Dotty Over These Dalmatian Christmas Cards!